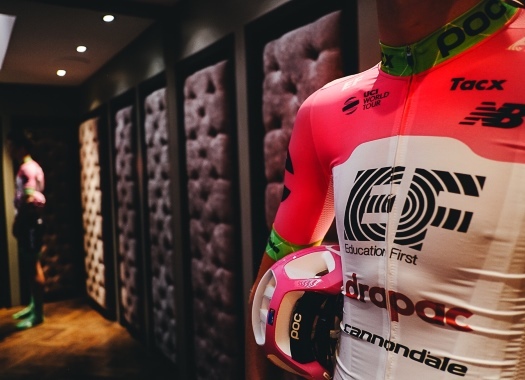 Simon Clarke (EF Education First) has taken the victory of the fifth stage of the Vuelta a España six years after he touched the glory in the Spanish race for the first time. The Australian won the fourth stage of the 2012 Vuelta a España and almost six years later on the date, he celebrated again in the Spanish grand tour. "It's just amazing! I've worked so hard since I won the last stage here!" he said at the finish line. "I just couldn't repeat it, it was just taking me so long to get back there. Even today I wasn't sure it was possible, I knew I had good legs but when you have a breakaway with so many riders the cooperation is never very good." The rider arrived to the last kilometres with the company of Bauke Mollema and Alessandro De Marchi, and after testing the other two, Clarke launched a strong sprint that gave him the victory. "I grew up in the track since I was 15 and it was just like track racing," Clarke commented about the last metres. "I knew De Marchi is fast but after such a long stage it is difficult to sprint. I was cramping when Mollema attacked and I just rode through it. I was so worried that they were going to catch us from behind but in that situation, you just have to be as cold as ice. You gotta be willing to lose to win and I was and I came here on top."